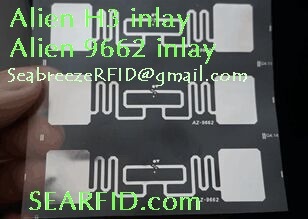 UHF Inlay intelligent high-performance chip,in line with EPC C1G2 (ISO 18000-6C/6B) standard operating frequency of 860MHz~960MHz. 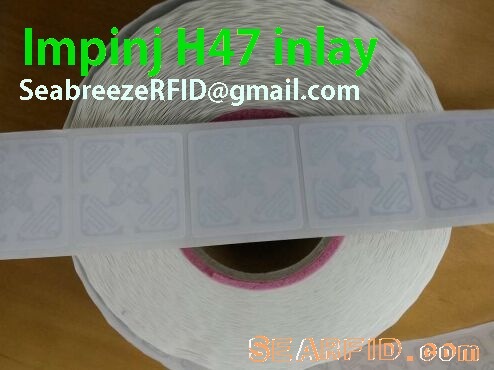 Inlay contained within the anti-collision mechanism that can effectively prevent data interference, suitable for multi-tag identification applications. UHF Inlay with industry-leading anti-jamming performance and superior read sensitivity, interference in the work of the tag RF-intensive environment, the data read and write performance remains stable and reliable. 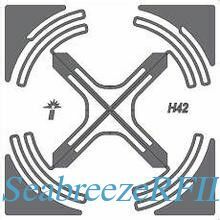 Mainly used in a single product tracking, supply chain management, item-level tracking, and other fields. UHF Inlay high-volume applications can also be packaged into various forms of electronic tags, label converting large quantities to meet demand for low cost, high performance and other advantages. Wafer: U CODE EPC Gen2, Ucode HSL, Ucode Gen2, G2 XL, G2XM, MONZA Gen2, ST XRA G2.